What It Is: Today’s screens bring to life more crisp, striking imagery than ever. So it stands to reason that the make up you apply needs to be even more flawless than ever – enter MAKE UP FOR EVER, one of the top brands preferred by makeup artists around the world. 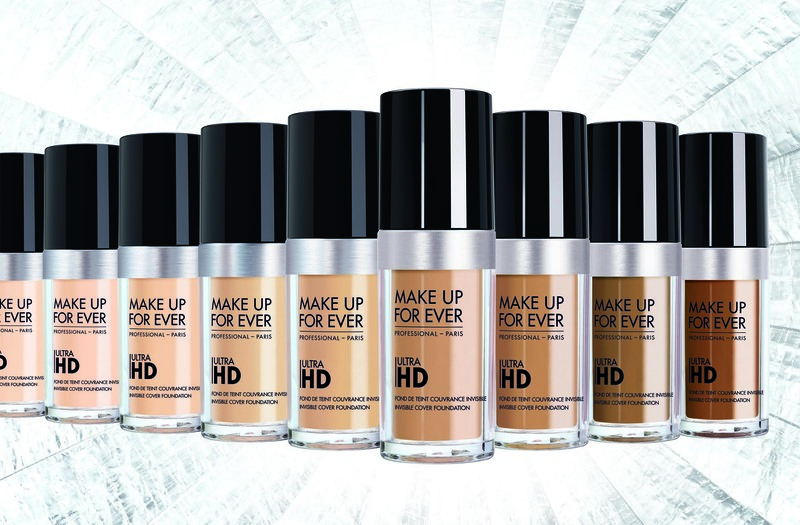 Their new Ultra HD Invisible Cover Foundation and Stick are designed to withstand even the most high quality lenses and picture displays, giving you that breezy, airbrushed look. They were nice enough to send me samples and I was super psyched at how well they worked. The liquid foundation went on super creamy and didn’t streak at all, and it felt way lighter than even their last HD foundation product. The cover stick was great for traveling, touch-ups, or when I wanted to just spot check my redder zones. For the record – I do have very smooth, porcelain skin, so it probably provided a nice canvas for the product off the hop, but I was still really impressed at how light and fresh it looked and felt. Both products are available in a HUGE range of shades (the liquid one comes in over 30!) and if you were a fan of their previous lineup of foundations, they have an easy colour conversion guide. Who It’s For: Your in the public eye friend, to make sure she looks flawless on-screen and off. Your makeup artist sibling, for a new product to try on herself and fall in love with. Yourself, cause you deserve to look amazing too! What It Costs: Both products retail for $50 a pop. Alright flawless femmes! You can also nab an extra entry into my Everybody Rise giveaway by leaving a comment below – which foundation product would you prefer from MAKE UP FOR EVER? Their stick or their liquid formula? This looks like a great product. I would like the liquid. The stick would be handy. I would like the liquid formula. Probably the liquid. I usually just wear powder so it’s hard to choose. I think I’d prefer the liquid. I prefer the liquid, i think it would go farther. I would like the liquid formula! I think I would prefer the Liquid one. As I am used to liquid foundation, I would probably choose that kind again. I like the liquid formula. While the stick would be handy for touchups on the run, I like the liquid version better. I rarely use foundation but I prefer liquid- I find it easier to blend. I used to use a stick foundation many years ago and I would love to give the new versions a try!